Well, it's not everyday I get to write about the gift of a sweet thang like cupcakes with zero guilt in the form of calories. But, today I'm pleased to introduce you to the sweetest trainers the world has ever seen. 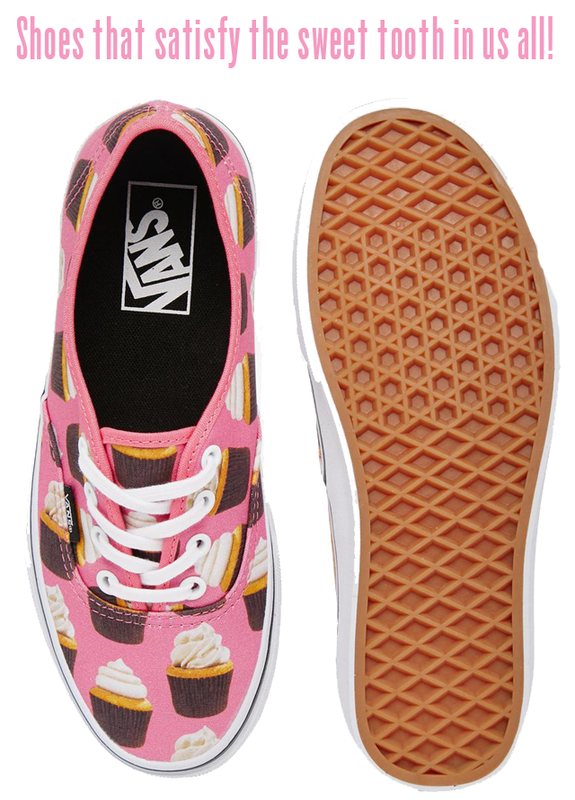 Introducing Vans cupcakes trainers. Yes, these are the real deal, people. They aren't just for kids. They come in adult sizes and are ripe and ready for the wearing. Only, you might want to get in there quickly as I predict a made rush for these bad boys. From bakers to bankers (ok, maybe not bankers), I can't think of anyone who wouldn't want to sport this pretty-in-pink-with-mile-high-frosting accessories hit. Keep it simple and style with boyfriend jeans, cuffed, and a crisp white shirt or jazz up a little white dress, come summer time, for the perfect relaxed, yet preppy, ensemble.